In Core Concepts in Contemporary Psychoanalysis, alongside its companion piece Core Concepts in Classical Psychoanalysis, Morris N. Eagle asks: of all the core concepts and formulations of psychoanalytic theory, which ones should be retained, which should be modified, and in what ways, and which should be discarded? • Are transference interpretations necessary for positive therapeutic outcome? 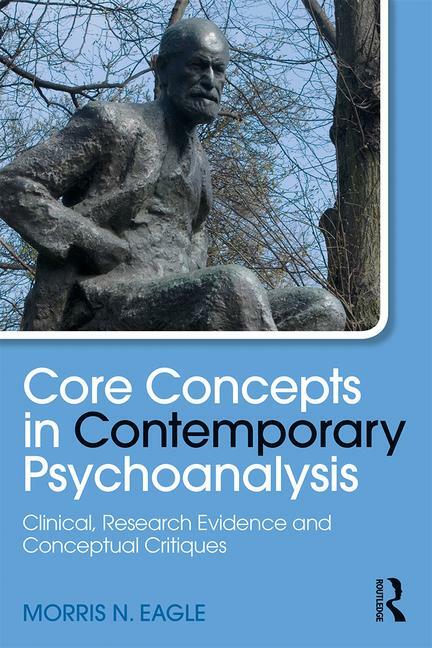 • Are the analyst’s countertransference reactions a reliable guide to the patient’s unconscious mental states? • Is projective identification a coherent concept? Unlike other previous discussions of such concepts, this book systematically evaluates them in the light of conceptual critique as well as recent research based evidence and empirical data. Written with Eagle’s piercing clarity of voice, Core Concepts in Contemporary Psychoanalysis challenges previously unquestioned psychoanalytic assumptions and will appeal to psychoanalysts, psychoanalytic psychotherapists as well as anyone interested in integrating core psychoanalytic concepts, research and theory with other disciplines including psychiatry, psychology and social work. Morris N. Eagle, Ph.D. is Distinguished Educator-in Residence at California Lutheran University and is in part-time private practice. He is the author of From Classical to Contemporary Psychoanalysis: A Critique and Integration and many journal articles. Morris is former President of the Division of Psychoanalysis of the American Psychological Association and recipient of the Sigourney Award, 2009.